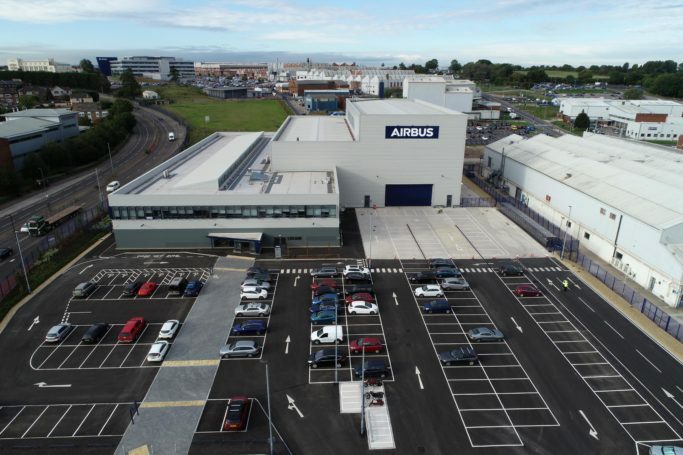 Airbus Wing Integration Centre (AWIC) in Filton, completed in June 2018, is a £30m state-of-the-art research and testing facility designed to undertake structural testing of large-scale aircraft assemblies including full-size wings down to the individual components and materials used in aircraft design. 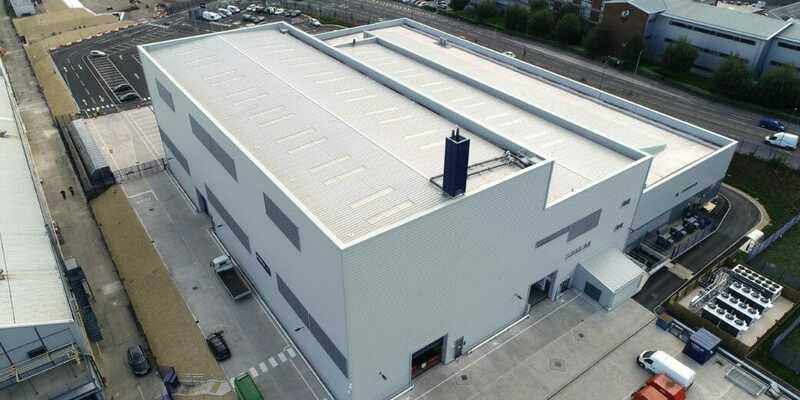 The majority of the building volume is allocated to industrial testing space which includes a specialist strong floor and strong wall, but this also includes various testing laboratories and a large open plan office for approximately 250 engineers. The spaces had to be functional and flexible and designed to encourage integration of the different parts of the business. DKA led a consortium of designers, acting as lead designer and main client contact for all stakeholder meetings. Co-locating on site for the duration of the initial design period we managed the complex briefing stage and collation of equipment requirements for all the highly technical spaces. To enable the testing of full-size wings, the centre’s strong floor and strong wall was a key element of the design. Developed by BuroHappold, and integrated within the design by DKA, this element included one of the single biggest pours in the country this year, with 3,500 tonnes of concrete poured over a 24hr period. 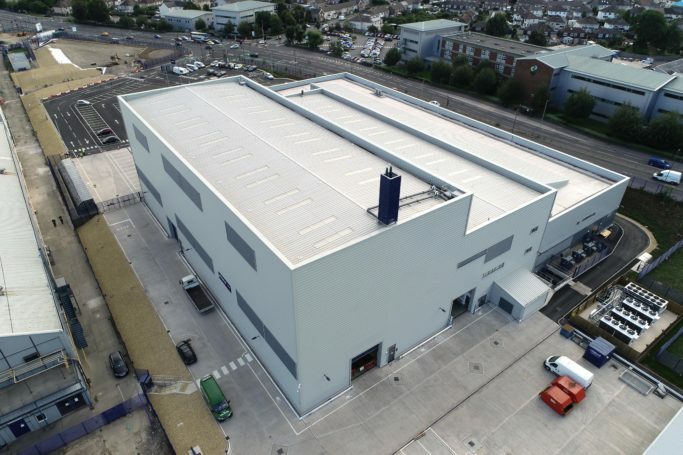 The floor and its matrix of anchors is the base for the strong wall, a 240 tonne modular steel structure, associated hydraulic actuators and measuring tools, which will enable to undertake full scale testing of its new innovative wing designs. The test facility is powered by an impressive subterranean hydraulic pump room which comprises of 10 pumps linked to four ring mains. The client body operates FM protocols for all manner of building materials, IT, space standards and accessibility which DKA had to incorporate into the architectural and M&E specifications for tender. 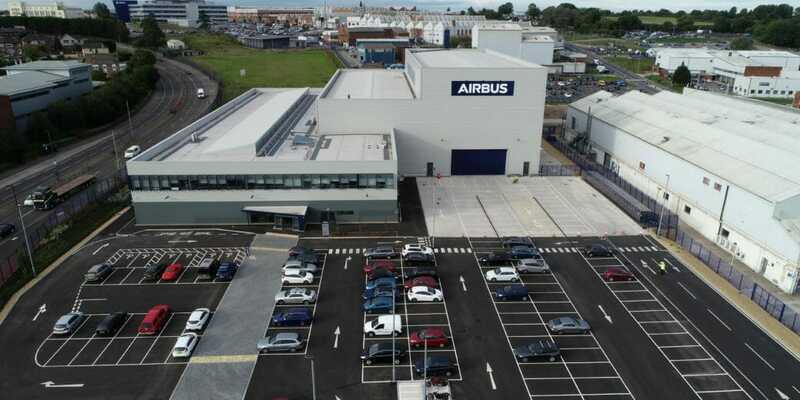 We had to coordinate with the site’s teams for security and liaise with Airbus insurers to achieve a compliant design. 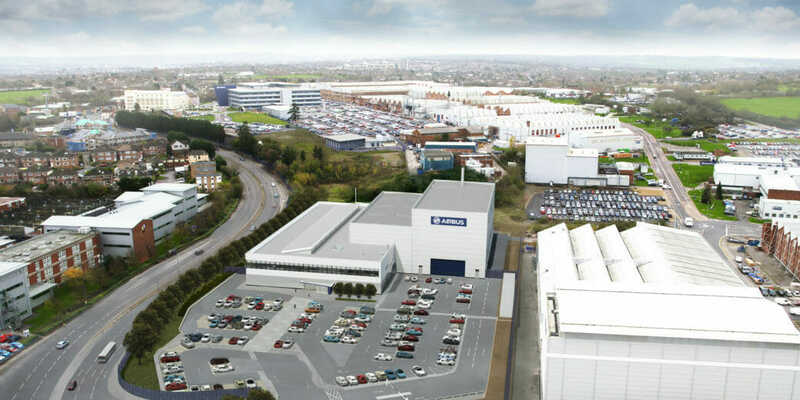 The project was designed and delivered using BIM, incorporating full room data sheets which were an essential part of the project sign-off process at each stage. Furthermore, as the building design responded directly to the functions within, we created equipment BIM data sheets for every client asset (i.e. testing rigs, milling machines, fume cupboards, microscopes) to fully describe the space requirements, safety, services connections and specifics like acoustic sensitivity. DKA and Hydrock were retained as technical advisers during the construction period. The collaborative approach developed with the Galliford Try team during construction has been key to the success of the project. 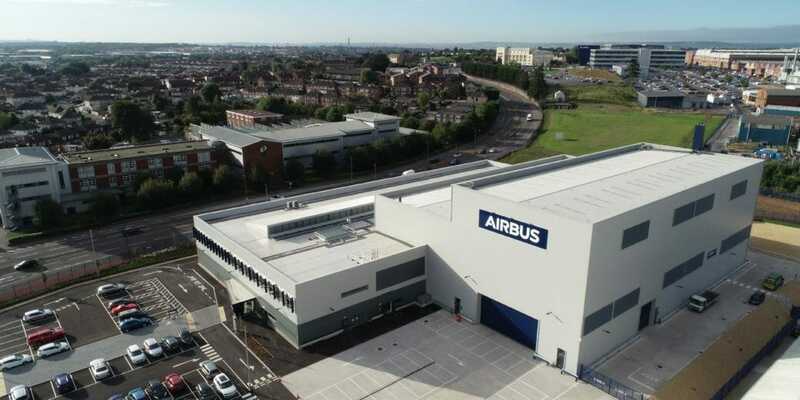 Through high quality design and an aspirational brief, the Airbus Wing Integration Centre will encourage market leading innovation. 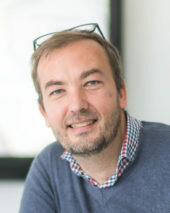 Fabien arrived in Bath in 1995 for his architecture studies and joined DKA in 2001. Since then he has gained experience in a variety of building types with an emphasis on educational and industrial projects, from scheme and detailed design to operations on site. In 2009 he became a Qualified BREEAM Assessor for Education Projects. Fabien also reviews our resourcing needs. 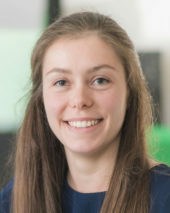 Caroline Pocock joined DKA in 2015 after graduating from the University of Bath. She qualified as an architect in 2018 and has experience in a range of project sectors, particularly education. She also has an interest in sustainable architecture.